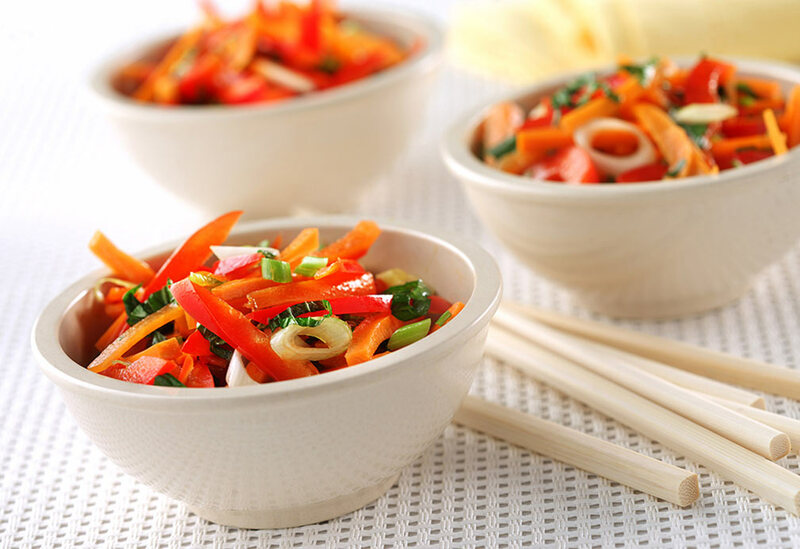 This colourful side salad is packed with fresh herbal flavours and antioxidants. 1. In large bowl, combine carrots, peppers, green onions, basil, cilantro and mint and toss to combine. 2. In small bowl, combine lime juice, soy sauce, honey, vinegar, mirin, ginger, canola oil, water and sesame oil. 3. Pour dressing over salad and toss to combine before serving. 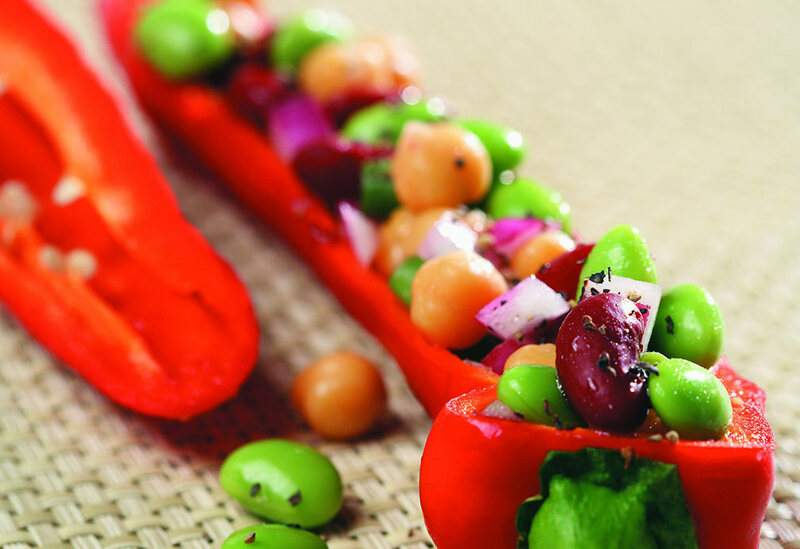 Traditional bean salad takes on a new flavor and a nutritional boost with edamame soybeans and canola oil! The beans add fiber while canola oil adds healthy fats. Canola oil is low in saturated fat, trans fat free and high in monounsaturated fat. 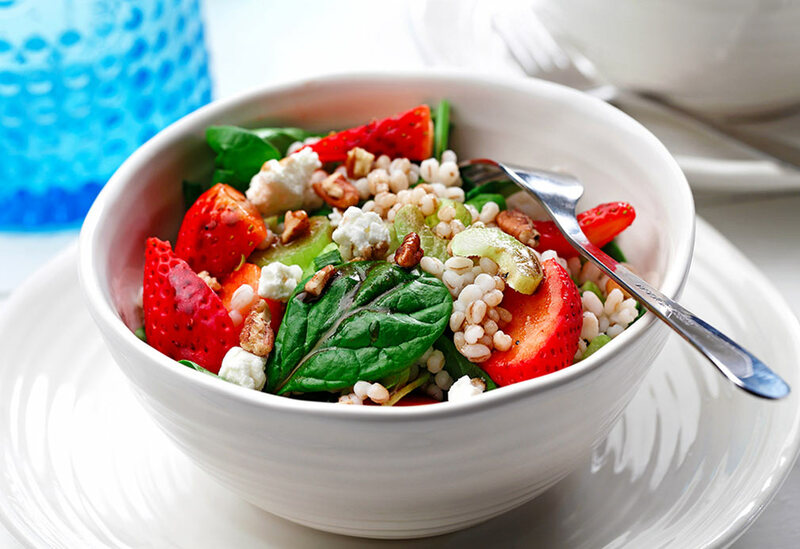 Sweet, tart strawberries make a delicious addition to a summer salad. If you’re taking this to a party, add nuts just before serving to keep them crunchy.